Last month’s Oscar awards was a hoot to follow, but if there’s one thing we noticed, it’s that host Seth McFarlane’s background is not in particularly in film. Rather, his career is embedded in animated TV series like Family Guy, American Dad, and The Cleveland Show. This seems to be the telling signs that the television market and its characters are becoming more cinematic. If you look at shows like Fox’s The Following or AMC’s The Walking Dead, you’d realize the high quality of production in these series and how they’re more like movie episodes than an average TV show. So if we can watch movies in 30, 45 minute segments at a time in the comfort of our own home, how are movie theaters going to win its viewers back from the likes of cable, streaming subscriptions, and on-demand videos? In order to fight back the television industry, film makers not only have to put out better content, but find a way to make the movie going experience more beneficial as a social experience. Digital Trends: It’s obvious film is have to do a lot more than rehash movies from famous books and fairy tales if they want to win back viewers from the television market. What else can they do to bring back the golden years? Stacy: Better content is so important, but there are also cycles. I think more with television, it’s finally fell on its own with reality TV – but you can only watch so much of that for so long. Another thing with reality TV is the aftermarket for it is not as strong. Another thing is, people weren’t working as much in theatrical – so you saw a lot of writers, directors, producers move over to TV so they can keep working since the cycles are shorter. But in the long run, people want to see their stuff on the big screen, and the move is cyclical. Eventually, I believe things will move back over. DT: MoviePass has been around for about half a year now. What sort of trends have you seen about moviegoers in this strong TV market under the concept that they can theoretically watch movies unlimitedly (per flat rate cost)? Stacy: The data is good, largely we are looking at 70 percent male, 30 percent female of the audience who go to the movies. We’re heavily concentrated on the top ten ADI (area of dominant influence) markets. Behavior is also interesting, we see a 64 percent increase in people going to the movies [with MoviePass]. They also buy concessions at a higher rate given the fact that they are conceptually going to movies for free and are not fronting pocket cash. One of the side things we saw during Hurricane Sandy is we can see people who were in the dark zones moving to see the movies where there was light, like in Manhattan. You also see how far people are willing to go from their house and who they’re going with [to make this MoviePass experience worthwhile]. DT: What do you plan to do with this data? Pocket it for your app’s improvements or sell them to film market researchers? Stacy: We’re holding on to the data to build more MoviePass features at this time. At some point, we’re gonna figure out how to package it in an intelligent ways to help studios and theaters better market themselves and drive better traffic. 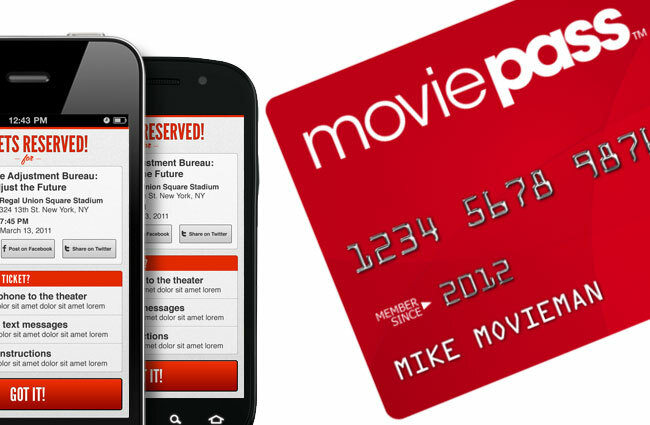 DT: MoviePass is one of the first apps to tie in geolocation data in a debit card system. What benefits and effects will this have on moviegoers and local businesses as opposed to TV viewers who stay at home? Stacy: We have a patent on this system, and we think this could radically change the film industry. It can also change retail related to the film industry, so in the future, perhaps you can gain points that can be activated on your card. Certain retailers that are near the theaters can opt in and offer discounts. There are a lot of advantages in that mall ecosystem that we can one day use in an intelligent way. The thing about geolocation apps, like Foursquare, is you always know where you are but businesses do not know how long you are there or what you are there for. With MoviePass, local businesses can see where you will be, estimate how long you’ll be there depending on the movie you’re watching, and offer relevant discounts or products. Stacy: Exactly! This notion is so unique. And if you start to frequent that place, they’ll know and perhaps give better discounts. Most people tend to go to the same set of theaters in the same area. It’s exciting to see how we can let this thing socially loose. 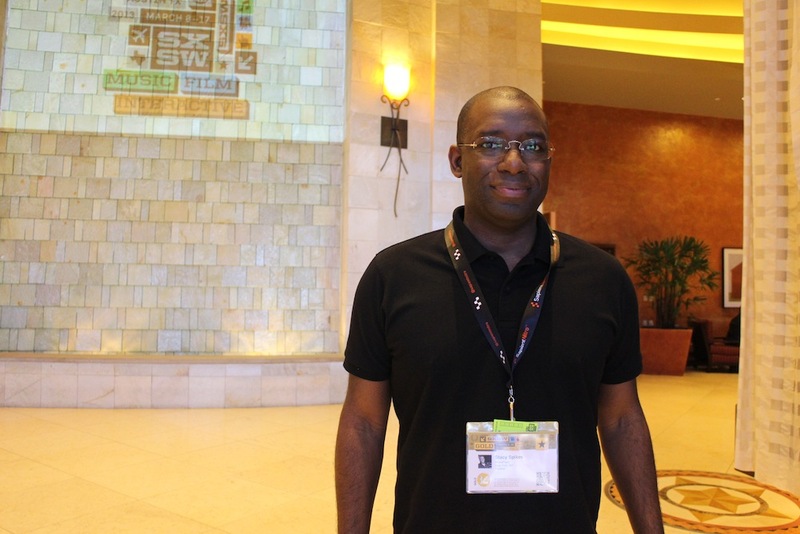 Thanks to Stacy Spikes for speaking with us at SXSW. U.K. Court dismisses Tesla’s suit against Top Gear - what's your call?